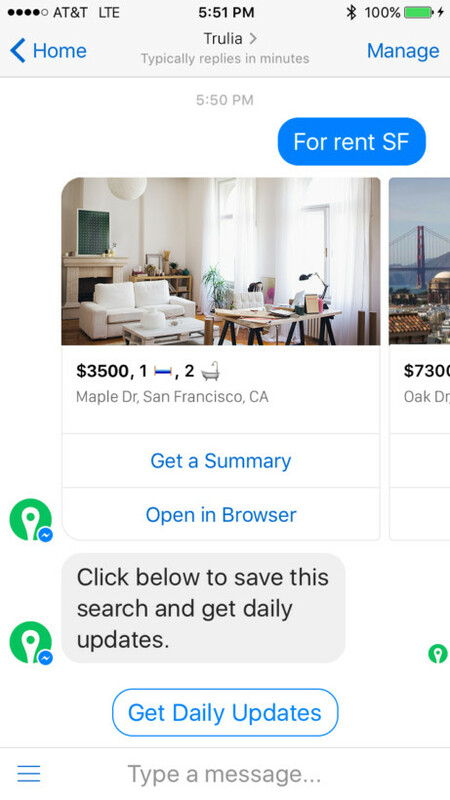 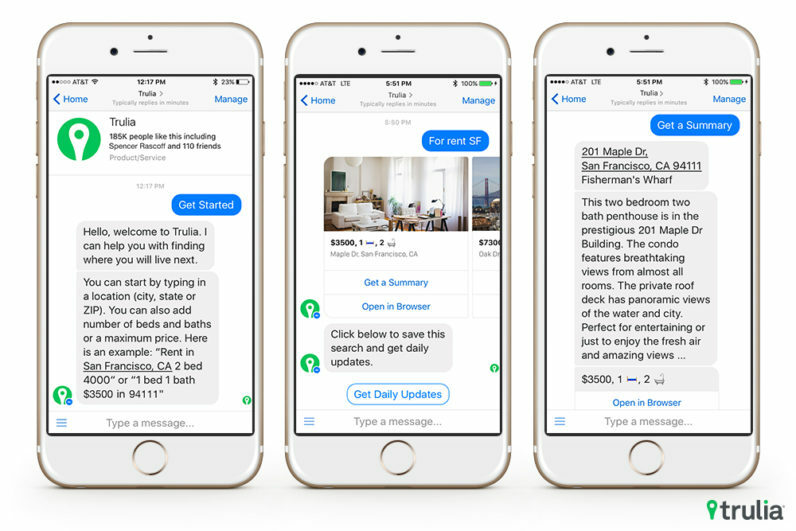 You can now find an apartment or house to rent using Trulia’s new Facebook Messenger bot. 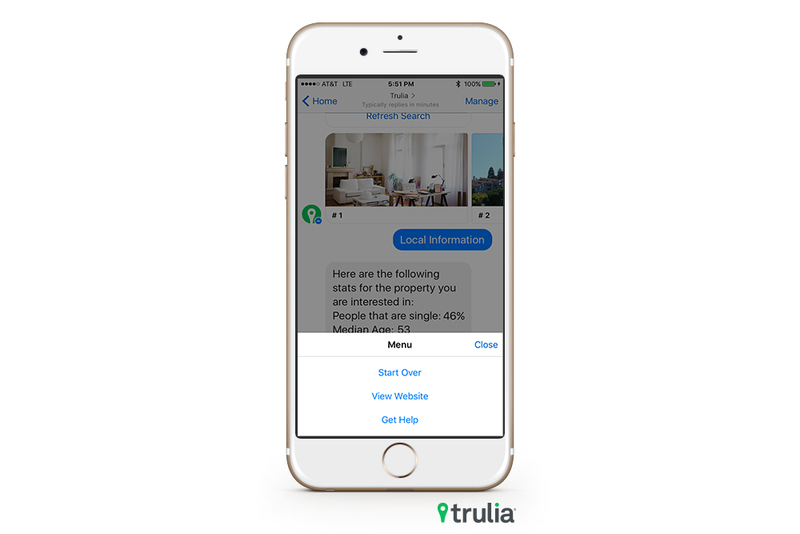 Trulia’s bot will instantly return ten of the newest listings that meet your criteria, and allows you to subscribe for a daily ‘top ten’ of rentals in your area based on previous search criteria sent to you each morning. 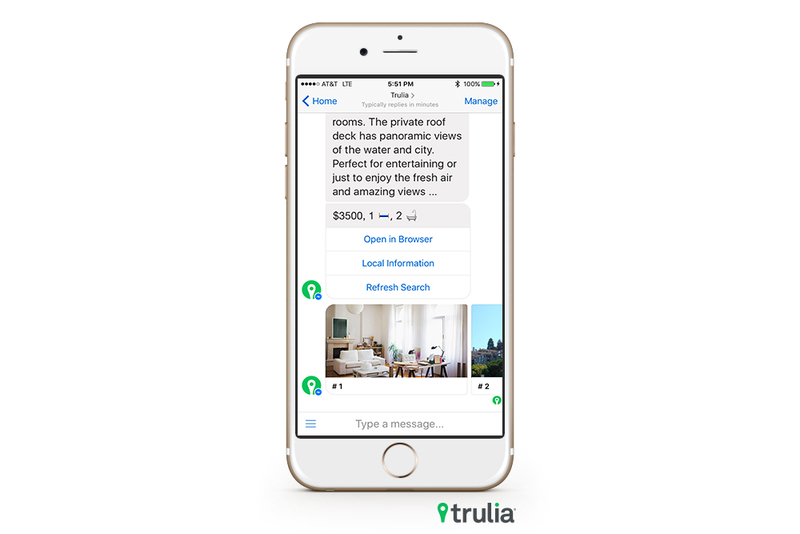 If you like what you see, you can view it in the Trulia app or get a quick summary in Messenger. 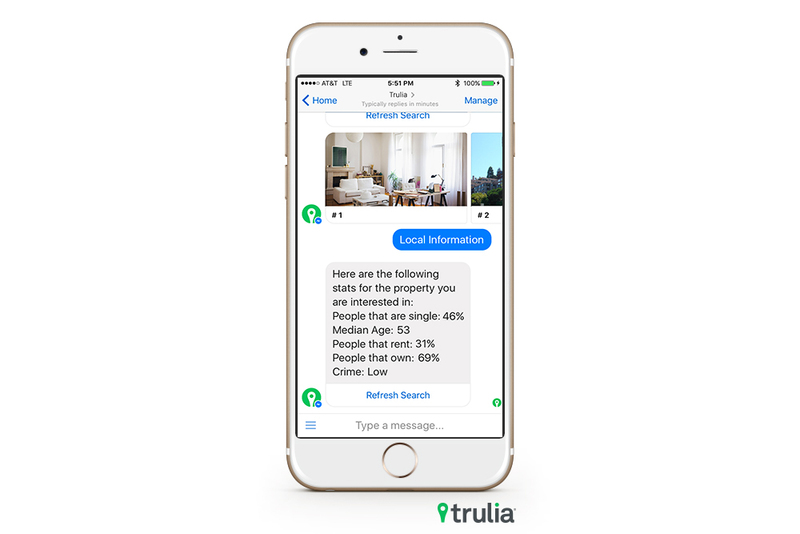 The bot will also give you Trulia’s Local Information for the listing, which provides statistics on crime in the area, neighborhood demographic for age and marital status as well as how many homes in the area are occupied by owners or renters.